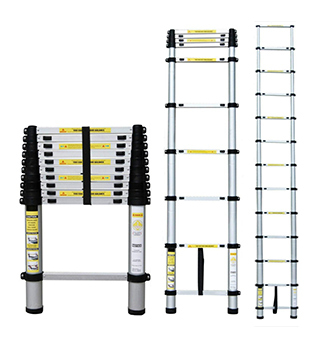 PWR WORK ® XXL Ladder is a light and portable. Goes from 67 cm to 2.60 m. Easy to transport and store. Made of aluminium, supports up to 150Kg.